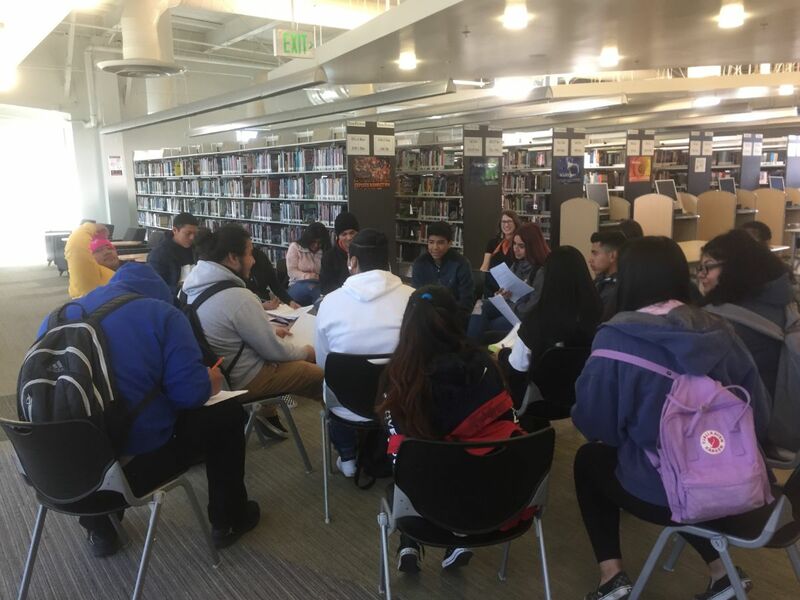 Ms. Aghamal's Speech class came to the library for their research on Black History Month. Students were introduced to the resources from LAUSD's Digital Library and in particular to the online version of World Book. 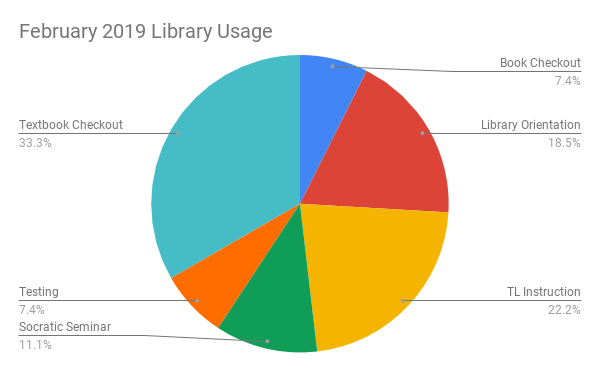 Like many other subscription databases available from the Digital Library, World Book allows users to translate content into dozens of languages. This is a great resource for students who are working towards language proficiency but need support to access content. Ms. Hernandez brought her class for a read-aloud. Ms. Hernandez read from Bradbury's The Martian Chronicles, a science fiction classic. Ms. Lauber brought her classes for library orientation and book selection. The orientation covers library rules and procedures; DDC and alphabetical order; MACHS Library catalog, collections, and resources; and basic search skills. 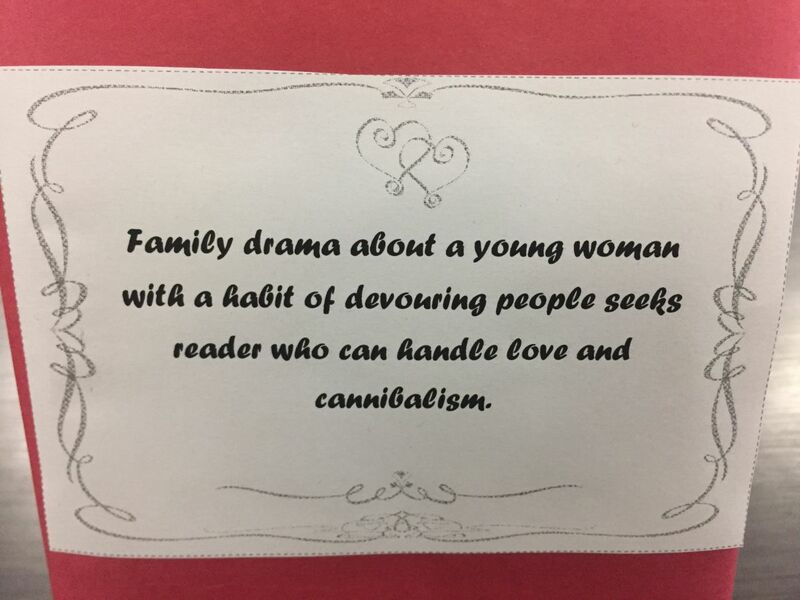 Students were able to match personal interests with lexile requirements to find the perfect book selection. M. Lu brought her new classes to activate email accounts/reset passwords. Many of her students are 9th graders, and they were not using their LAUSD email account in middle school. Students were also introduced to Google Drive and Schoology. Ms. Martinez brought her period 5 class to check out books for SSR. Students selected books based on personal interest. Ms. Vandermeer brought her classes to participate in Socratic Seminars. Students were engaged, and many insightful discussions happened. Mr. Walker's Advisory class stopped by to use the computers as they worked on their portfolio. 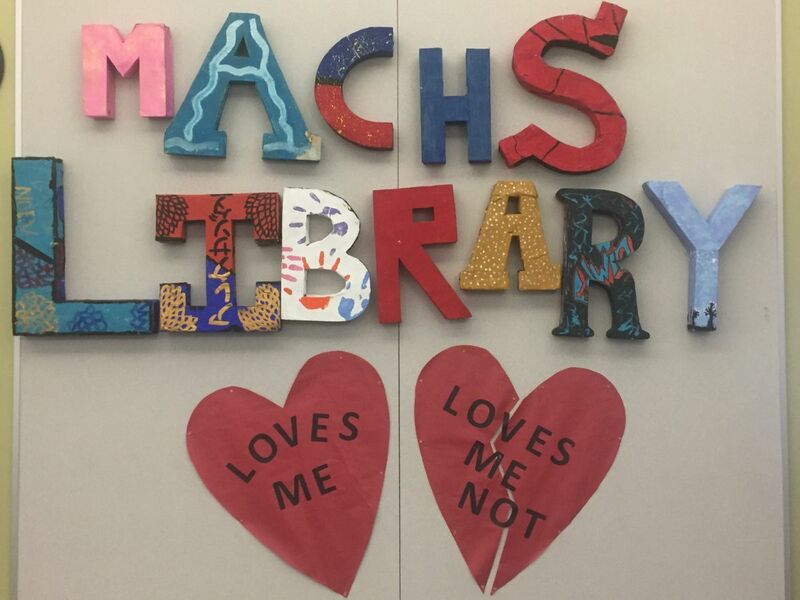 Ms. Wiley brought her 11th graders for an introduction to MACHS Library research resources. Students learned about the online library catalog, Webpath Express (Internet search feature from the catalog), and LAUSD's Digital Library. Students will be able to use the research skills and resources from this lesson across subjects and grades. It is very important that as we prepare students for the informational demands of career and college, we help them build strong research habits. 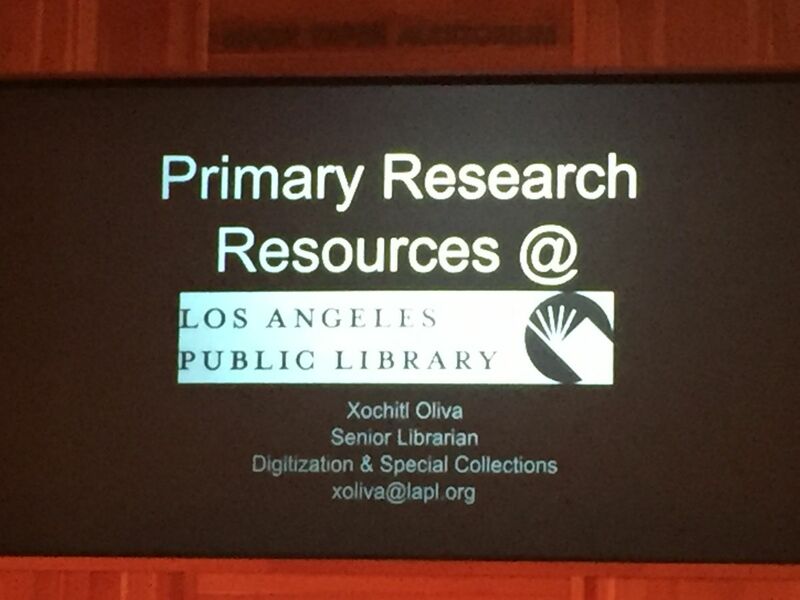 LAUSD's Digital Library provides students with access to subscription-based databases full of accurate and reliable resources. As they explore the databases, students build and refine their research and evaluation skills. By the time they get to college, research will no longer be an unknown, scary thing. 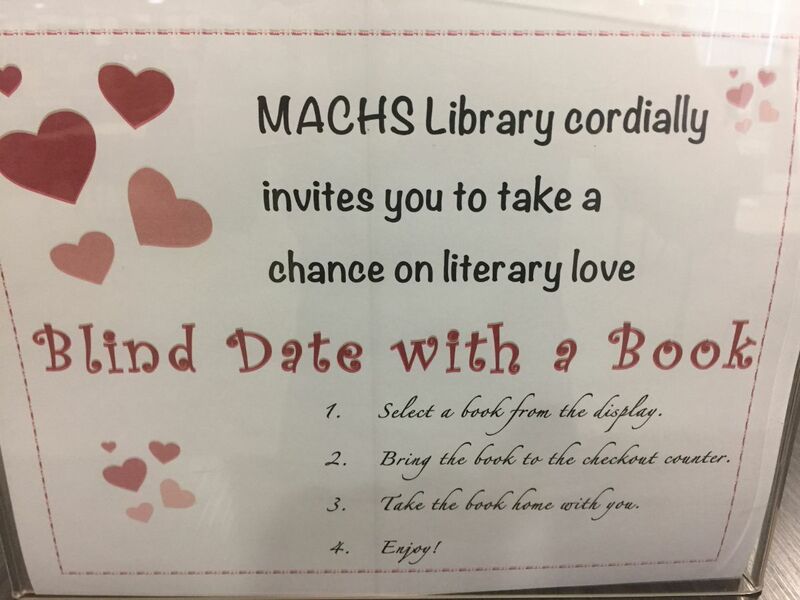 Students were asked to take a chance at literary love by going on a Blind Date with a Book. 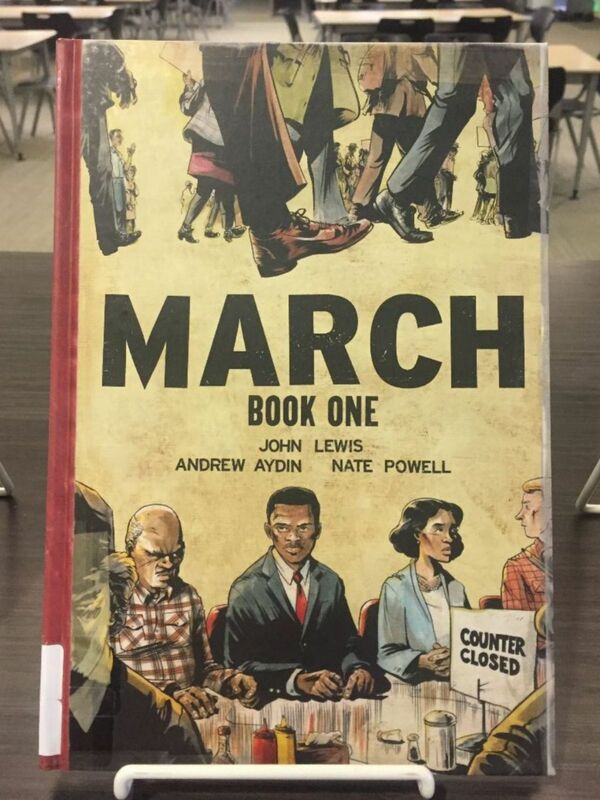 Students had to select a book without knowing much about it. 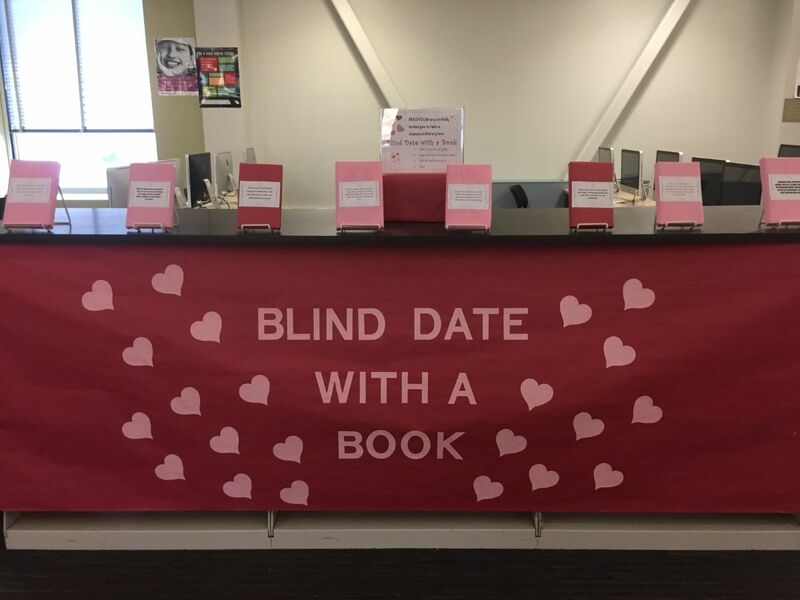 This display challenges students to be more adventurous with their reading selections. 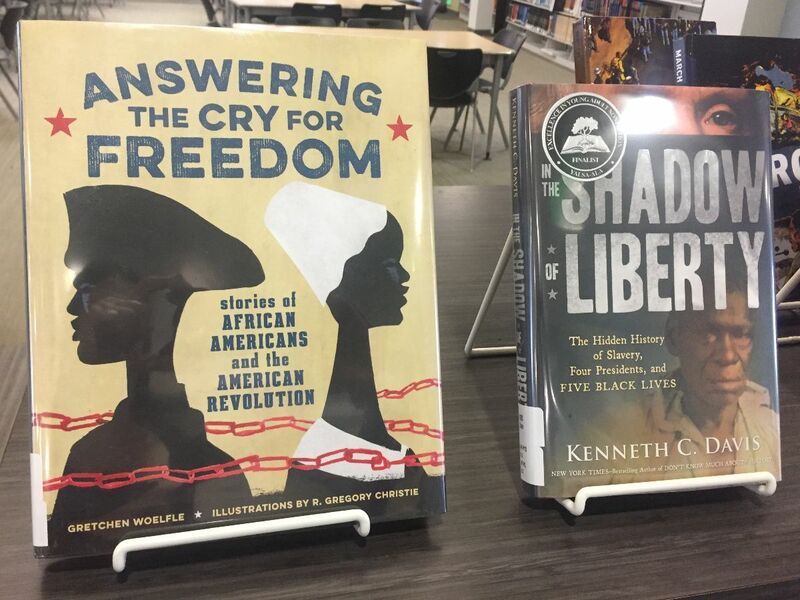 To celebrate Black History Month, MACHS Library highlighted new additions to the non-fiction collection and promoted Black YA writers. 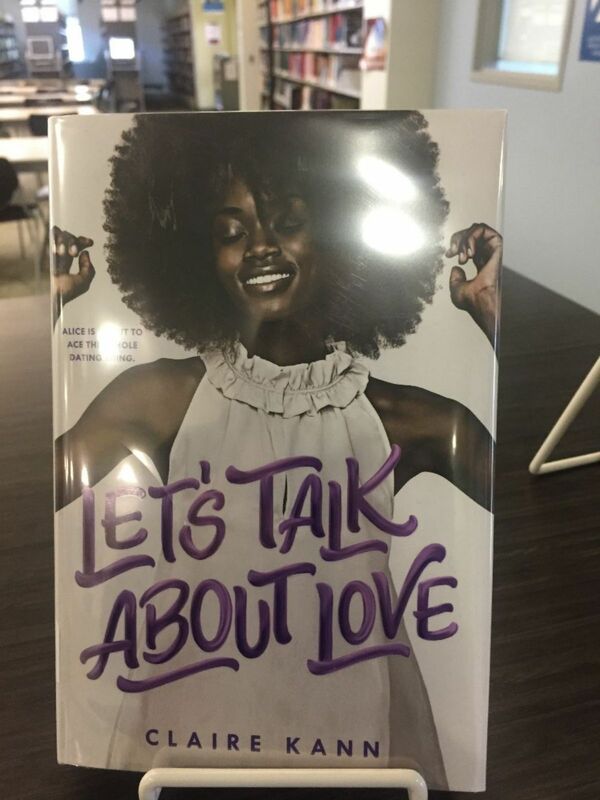 Authors like Angie Thomas, Claire Kann, Brandy Colbert, Jason Reynolds, and Dhonielle Clayton are bringing the experience of Black youth to light with award-winning titles. 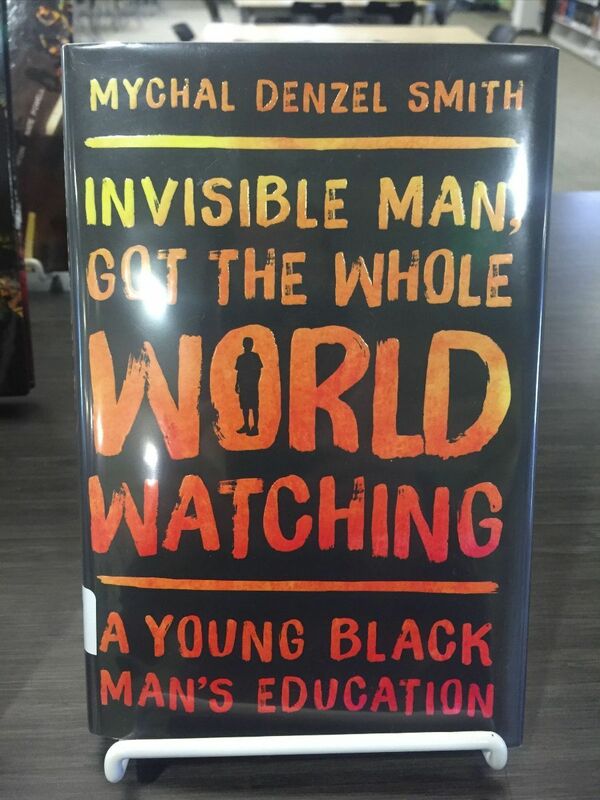 It is essential that MACHS LIbrary represents the experience of our diverse population, and these and many other Black authors bring these voices to life in the collection. Students have started to explore the Reference Collection. They have learned about different times of reference materials and how to use reference texts correctly. To make things fun, their knowledge of the Reference Collection was tested with a treasure hunt. The culminating task for the unit will be an annotated bibliography using resources exclusively from the Reference Collection. 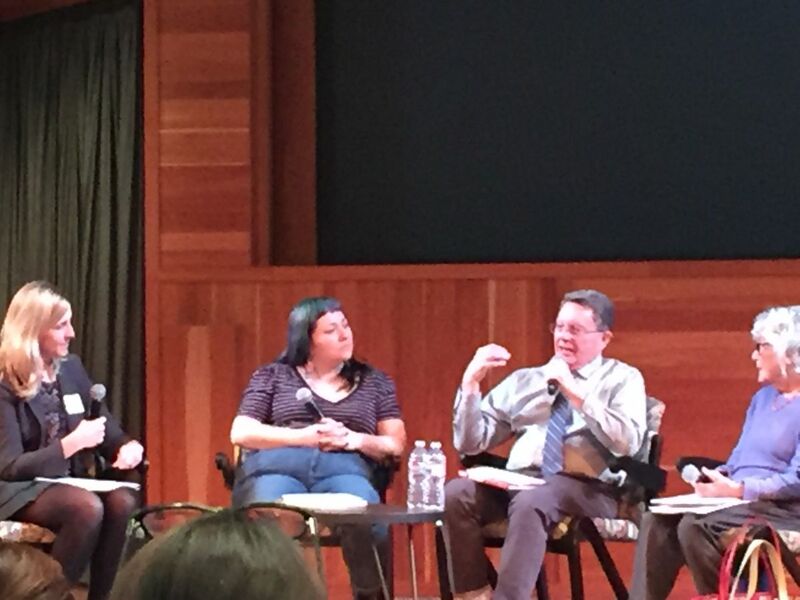 The third TL professional development took place at Central Library in collaboration with LAPL YA librarians. TLs had the opportunity to work with their local LAPL YA librarians to plan for collaboration and resource sharing. This time, the author panel focused on non-fiction. A lucky group of TLs got a guided tour of the Rare Collections room. 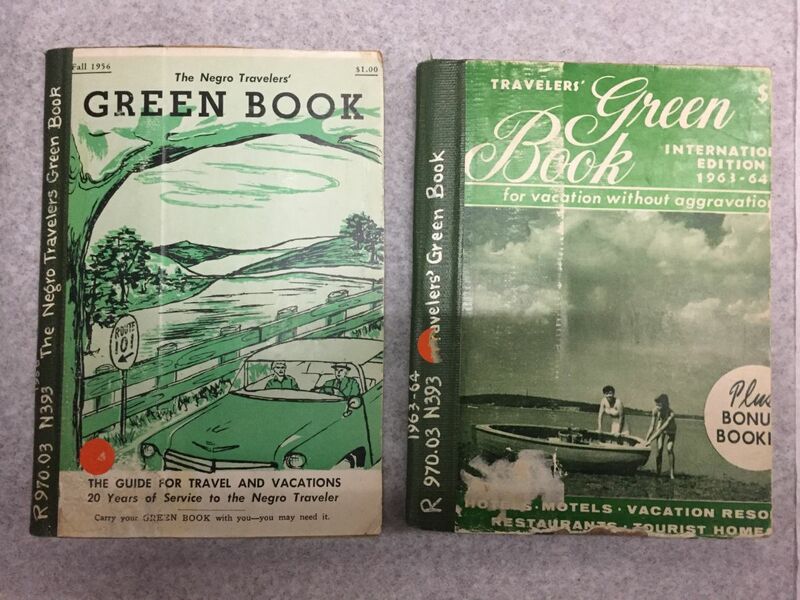 Among the rare books, works by Salvador Dali and original copies of the Green Book. As we wait for the order placed in early February to arrive, there is a new order taking shape. If you would like to make suggestions, please email any titles by the March 15. It is not uncommon for items to disappear from the library. The most recent disappearance happened over the weekend when a power strip that helped power one of the OPAC computers was taken. The computer was left unplugged. This is a very upsetting trend.